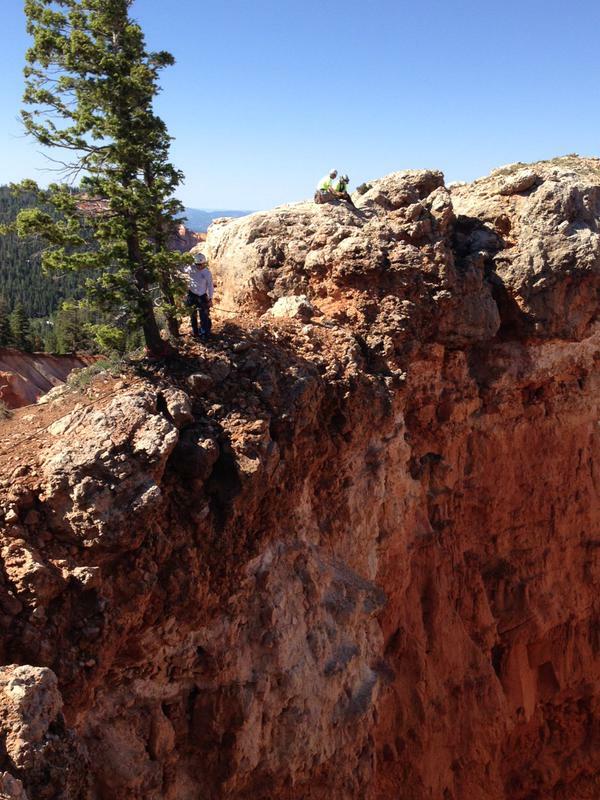 KANE COUNTY – A man killed Sunday in a fall on Cedar Mountain has been identified by authorities. In a press statement released Tuesday afternoon, the Kane County Sheriff’s Office identified the fall victim as 46-year-old Doug Fulkerson, a full-time resident on the Kane County side of Cedar Mountain, near Strawberry Point lookout and Duck Creek Village. The statement identified Fulkerson as a member of the Kane County Search and Rescue team. Fulkerson had been riding ATVs with a friend Sunday when the incident occurred, according to the statement. The two rode to a viewpoint near Fulkerson’s cabin, located on the west edge of the Zion View Mountain Estates subdivision, and Fulkerson reportedly climbed onto a rock formation extending out from the rim. Fulkerson’s companion went up and down on both sides of the rim calling Fulkerson’s name but received no response and couldn’t see him. When he was unable to locate his friend, he went for help. The Kane County Sheriff’s Office responded and requested assistance from Classic Aviation. A helicopter was dispatched from Kanab to help in the search for Fulkerson. Kane County Search and Rescue was activated and began assembling a recovery rescue team. At about 9 a.m. Monday, search and rescue personnel arrived at the scene and began setting up a complex rope recovery system to retrieve Fulkerson’s body. “The work area was very small and dangerous,” the statement said. Just past noon Monday, a search and rescue team member was lowered to the ledge where Fulkerson had landed. Fulkerson’s body was secured in a harness, and the rescuer and the body were both raised back up to the top of the rim. Mosdell Mortuary, out of Kanab, transported Fulkerson’s body to the Utah State Medical Examiner’s Office in Salt Lake City. “Kane County Sheriff’s Office extends its sympathy to the Fulkerson family,” the press release said. “Doug was a long time, well known resident of the Cedar Mountain community as well as a member of Kane County Search and Rescue. He will be missed by those who knew him.